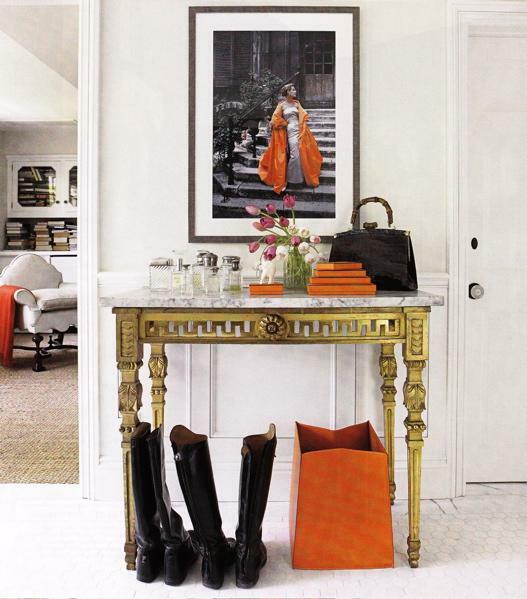 There are many shades of orange: mandarin, pumpkin, terracotta, tangerine and not to forget the famous Hermès orange. 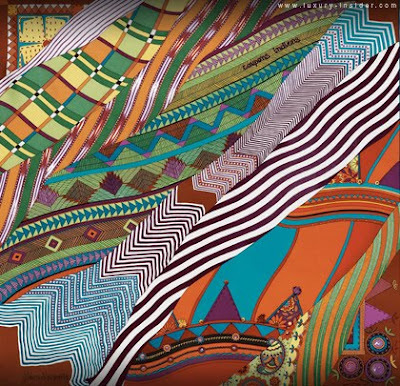 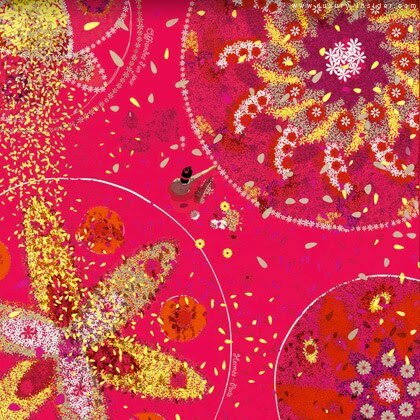 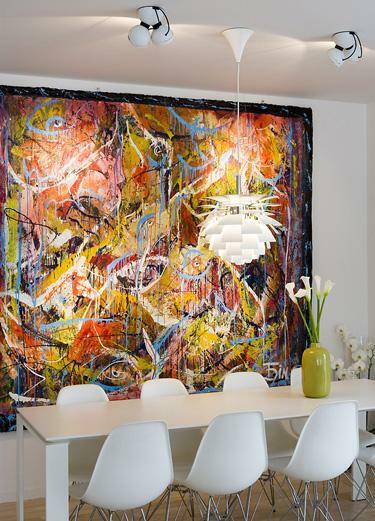 This fabulous, radiant color evokes a feeling of energy, fun and warmth. 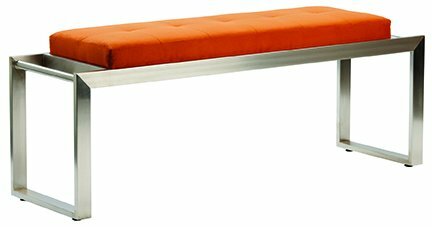 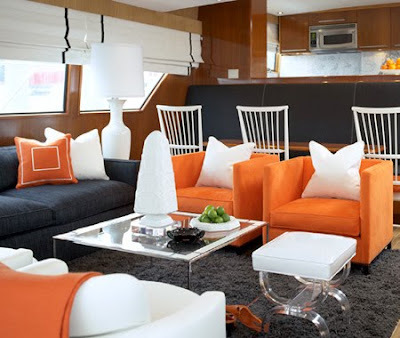 Orange stimulates the appetite and the emotions and is a great color for social gatherings as it increases energy and social activity. 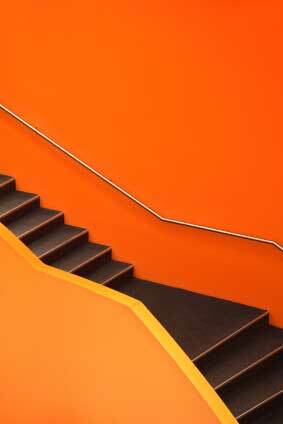 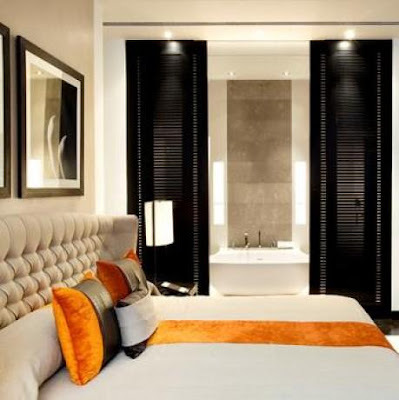 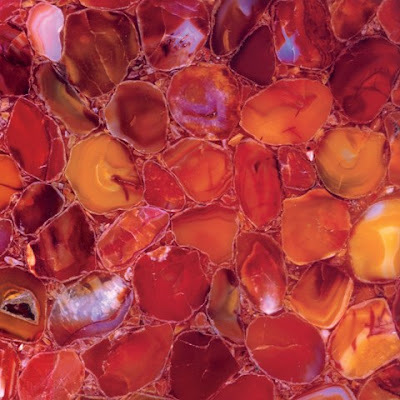 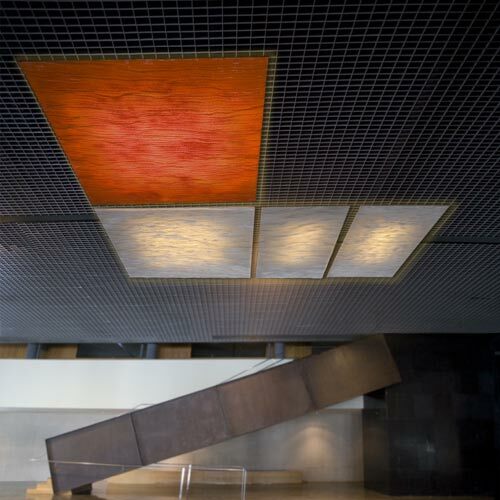 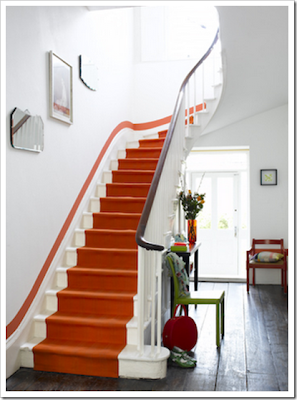 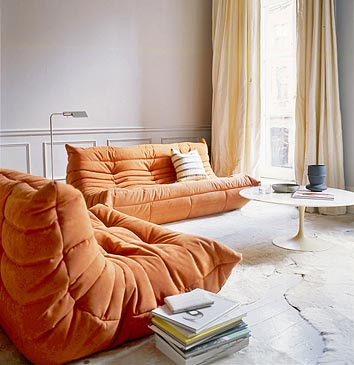 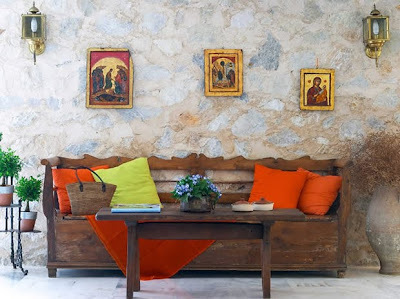 Inspired by the Hermès orange we have selected inspiring images portraying the use orange in interior design. 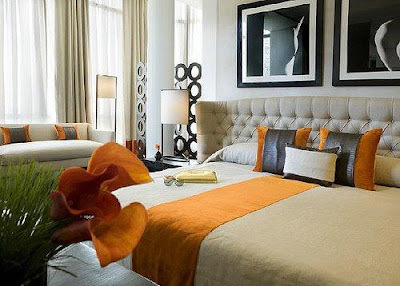 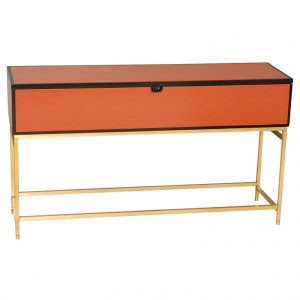 Adding a splash of orange is sure to enhance other colors in your decor, as well as add warmth and vibrance! 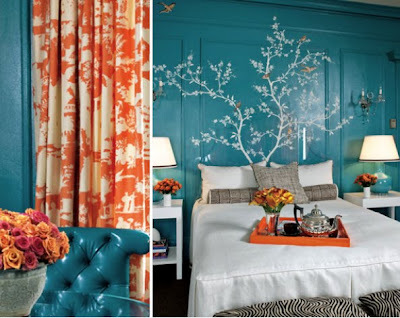 Orange is beautiful paired with shades of blue. 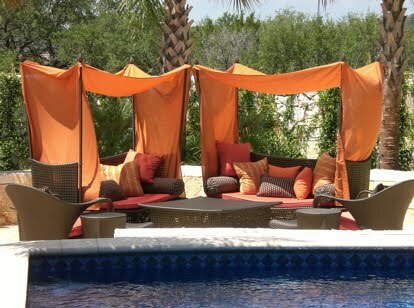 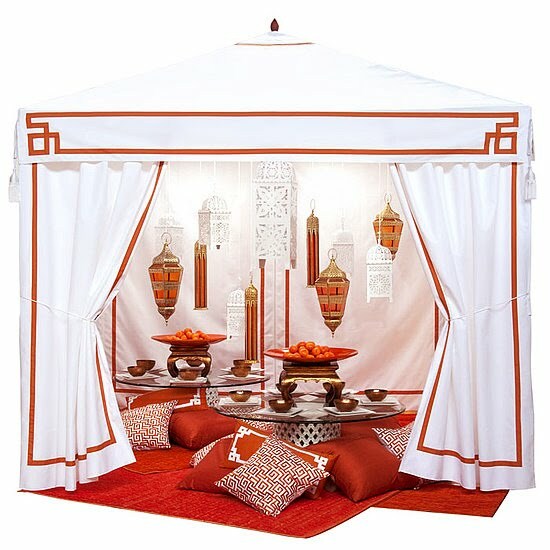 Create a Moroccan-style pavilion using North African shades of burnt orange. 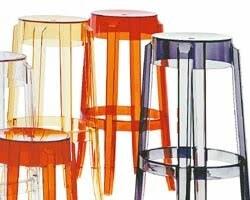 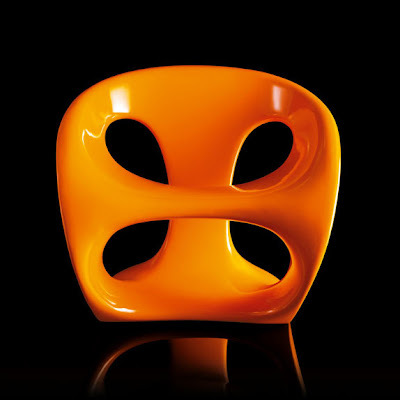 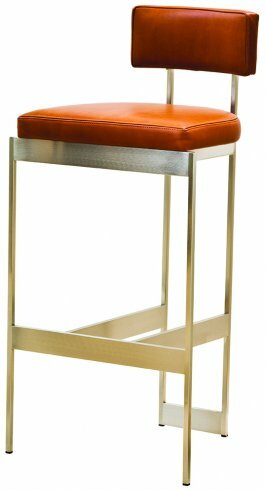 Ghost stool, Philippe Starck design. 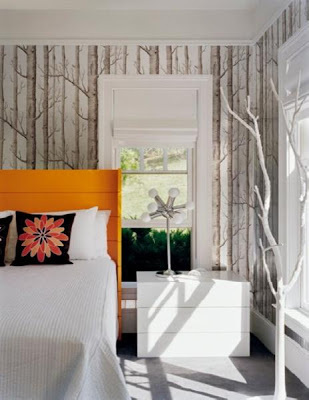 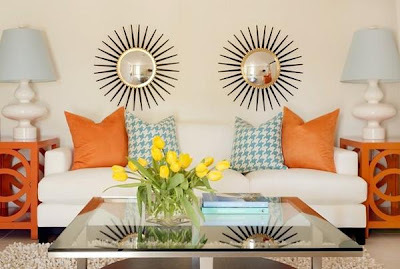 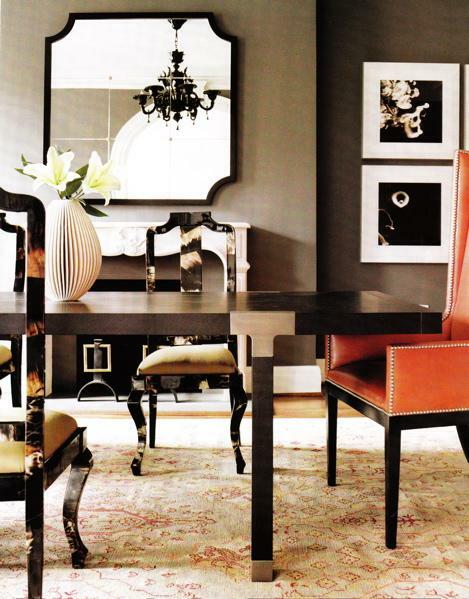 Add a subtle splash of orange through the use of decorative objects like this lamp (Jonathan Adler's home). 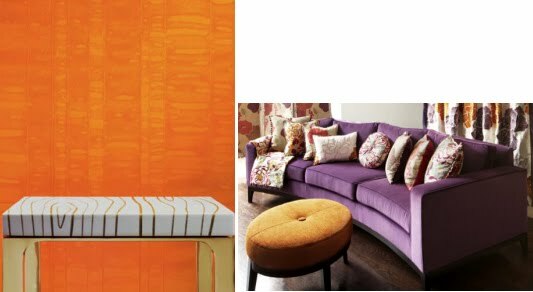 Left: Maya Romanoff wall covering. 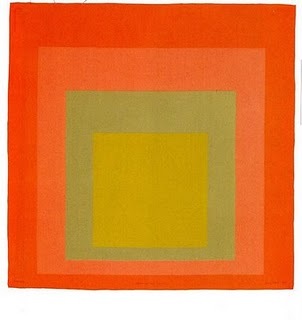 Right: Osborne & Little fabric.